Ethanol, hydrogen, solar, wind, and.... cockroach? That's right. The coolest, creepiest source of green energy around is a biofuel cell made from a living insect. A female false death's head cockroach, to be precise. The female roach has a large abdomen that's filled with blood, and her blood is filled with a naturally-occurring sugar called trehalose. This sugar powers the anode of the cell. Oxygen from the air powers the cathode. Because these fuels are renewable, power could be supplied indefinitely. Scientists prepared the electrodes by coating them with enzymes to catalyze the electrical reaction. Then, the roach was sedated with carbon dioxide. Her legs were pinned with staples to prevent her from moving. Scientists inserted electrodes into the "blood sinus" in her belly without damaging any of her internal organs. 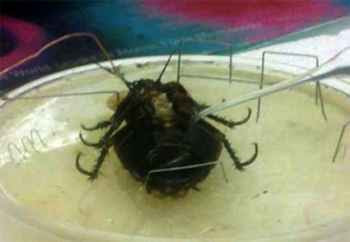 The procedure was so gentle that when the experiment was over, the roach got up and walked away. This living fuel cell generated about 0.2 volts. It would take 100 million cockroaches to power one 100-Watt lightbulb, but a lot of microdevices run on a lot less juice. And roaches aren't the only species that are naturally electrifying - the experiment worked on shiitake mushrooms, too. Military and intelligence applications are already being discussed (of course), but why stop there? What toys would you run, if you were your own battery? 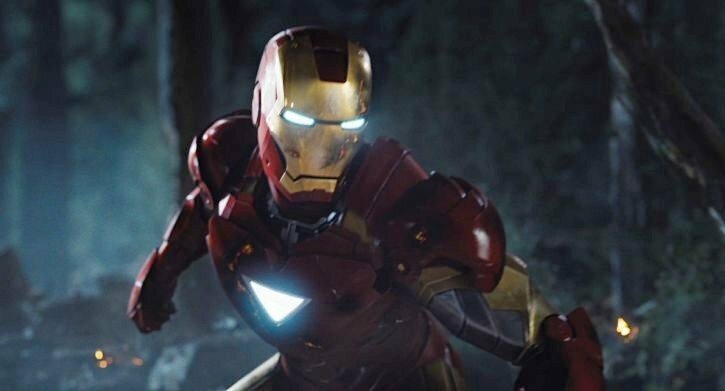 Bonus points if you'd help save the world from the Chitauri! What happens to creatures that live in the ocean if seawater becomes more acidic? This fun activity, excerpted from The Big Green Book of the Big Blue Sea (Kids Can Press), is an easy to do, seeing-is-believing demonstration. Excess carbon dioxide from burning fossil fuels, is gradually making the oceans more acidic. How might more acidic waters affect coral reefs? See for yourself. 1. Break the egg neatly in half. Reserve the egg white and yolk for another purpose (like breakfast!). 2. Measure the vinegar into your container. Place the two halves of the eggshell in the vinegar. Cover the container with plastic wrap. 3. Watch what happens when you place the shells in the vinegar. Do you see bubbles forming around the shells? 4. Leave the container in an area where it won’t be disturbed. Then check on your eggshells three days later. Where did they go? Eggshells are made out of calcium carbonate, the same mineral that coral polyps use to make their shells. Vinegar — an acid — reacts with the calcium carbonate, removing the carbon from the shell. The carbon combines with oxygen to make the gas carbon dioxide. Those are the bubbles you saw rising from the egg. With no carbon left in the shell, the shell literally dissolves and disappears. What you see floating in the vinegar is just the soft membrane that lines the eggshell. It is similar to the soft bodies of the corals. Like the egg membranes, the coral bodies would float off without their calyces. They’d be totally vulnerable to predators. Despite their tiny size, corals build structures that are so gigantic they can even be seen from space! To do so, they need just the right conditions. They need water that is the right temperature, clarity and acidity. They need to remain undisturbed. And they need the right kind of base to lay the foundation for the reef. Today, reefs are at risk all over the world. Global warming, ocean acidification, pollution and habitat destruction are all taking their toll. So people are lending corals a helping hand. The Reef Ball Foundation, for example, is a non-profit organization dedicated to building artificial reefs. The foundation makes ball-shaped, concrete structures. They lower them in waters where an existing reef has been damaged. Teams of scientists hand “plant” about 500 corals per day onto each structure. The scientists then monitor the growth and health of the corals until the reefs re-establish themselves. The process can take 3–5 years. Since their founding in 1993, the Reef Ball Foundation has helped rebuild coral reefs in more than 70 countries. 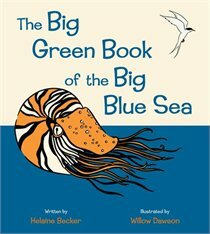 The Big Green Book of the Big Blue Sea has been longlisted for the Information Book Award from the Vancouver Children's Roundtable. Massive open-house of thousands of laboratories across Canada coming May 11! What has a million legs, a few thousand open doors and things that make you go ‘ooh!’ and ‘aww!’? If you said Science Rendezvous, you’re right! This is a nation-wide event that will take place Saturday May 11, and it’s for the whole family. What is Science Rendezvous? Think of it as a massive open-house where thousands of laboratories across the country open their doors to the public. The whole family can visit labs at universities and other institutions and see where real research is done. You can meet scientists who will answer your questions, give tours of their labs, and do demos – many of which you can try out yourself. 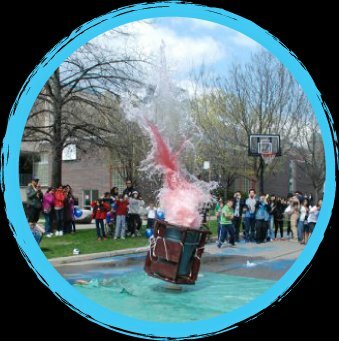 Explosive fun from Science Rendezvous 2012.
check out Science Rendezvous's video gallery. Photo courtesy of Science Rendezvous. This year, I’ve gotten involved. In fact, I’ll be at this year’s event all day, hosting a vaccine education tent that will be on the University of Toronto campus on St. George Street. Look for the tent where people are handing out surgical masks and letting you visit our actors portraying people sick with diseases such as Spanish flu, polio and smallpox. There will be things that appeal to all ages. Across Canada, there will be experiments and activities for the kids, lectures for the adults, and displays for people of all ages. And not everything is indoors. There will be tents erected on university grounds where various demos and exhibits will reside and contribute to a festival atmosphere. There will be even be science activities at a shopping Mall! Cape Breton University is hosting the Mall of Science at the Mayflower Shopping Mall where there will be a variety of hands-on activities. Toronto has 17 venues participating, including 4 universities, 2 hospitals, research centres, libraries, and the Ontario Science Centre. 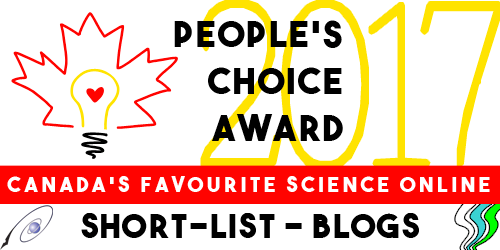 This is the only science festival of its kind in Canada, and the biggest. What makes it different from other science outreach events is that it’s the only one where the public gets direct access to real-live researchers and their labs, and find out exactly what novel areas they are working on. Other science outreach groups mostly focus on doing hands-on experiments that demonstrate basic scientific principles. To find out more, tune in to the Discovery Channel’s Daily Planet show. Each day for the week leading up to May 11, scientists participating in Science Rendezvous will be on the show describing and showing off a tiny sampling of the things you’ll experience. Science on Stage at Toronto’s Yonge-Dundas Square, Ontario. With Daily Planet’s Dan Riskin. Ryerson University hosts the Science on Stage event at Yonge-Dundas Square in Toronto. See the ever-popular Sumo Robot Competition, a machine-vs-machine battle to the death, the Dance of Science featuring Ryerson’s renowned performing arts programs, and a spectacular fire show! Dan Riskin will host and do some amazing science himself! The Role of Gender in Science Communication, Vancouver. As a prelude to the main event happening on campus, University of British Columbia (UBC) will present a public lecture on the role of gender in science communication on May 10th, 2013 from 5:30-7:00pm. Open forum and panel discussions will be led by Dr. Jennifer Gardy from UBC. On May 11, UBC labs will open their doors. Science Jeopardy, Oshawa, Ontario. The University of Ontario Institute of Technology (UOIT) presents flaming gummy bears, liquid nitrogen fun and Science Jeopardy. Examine forensic evidence to solve a crime scene, levitate a magnet, discover the sensational sliminess of creating polymers, create a Maggot Masterpiece, and isolate your own DNA. What’s not to like about monarchs? Their caterpillars are gorgeously striped. Their chrysalises are an otherworldly green bejeweled with glimmering gold. The adults weigh only half as much as a paperclip, yet can migrate thousands of kilometres—and if you’re lucky enough to be in the right place at the right time you can see congregations of thousands. Monarchs can also make blue jays throw up—a delightful tidbit I learned while researching my new book about migration, Is This Panama? (beautifully illustrated by Soyeon Kim!). Sadly, just as the book went to press, bad news arrived: the over-wintering monarch population in Mexico was the lowest ever recorded. 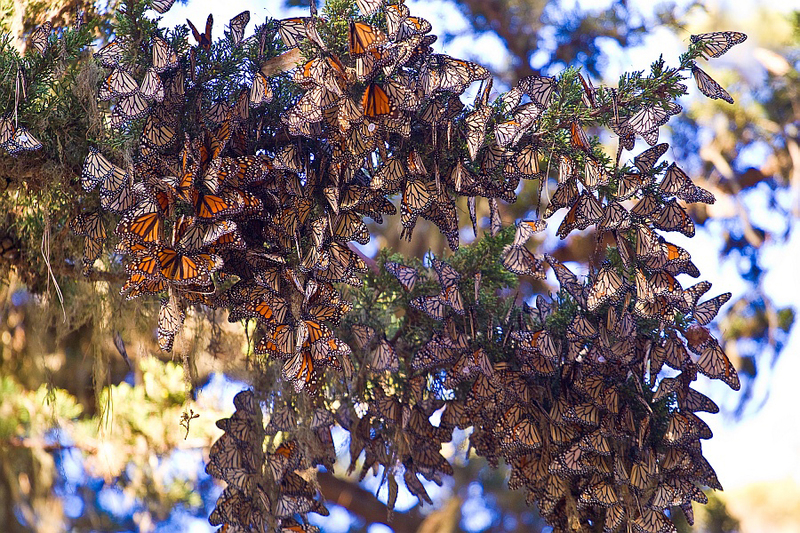 Hundreds of millions of monarchs migrate each fall to warmer areas. Adults that originate in southern Canada can fly more than 4,000 kilometres (2,500 miles) to reach their hibernation grounds in Mexico. It’s a treacherous journey for a delicate butterfly and many die on the way, but every year millions arrive in a mountain forest near Mexico City. Because it would be too difficult to actually count such large numbers, scientists have been measuring the area of forest each year that the butterflies occupy. In 2011 monarchs covered the trees in 2.89 hectares of forest. This past winter they occupied only 1.19 hectares (5 sq. miles)—a drop of 59%! 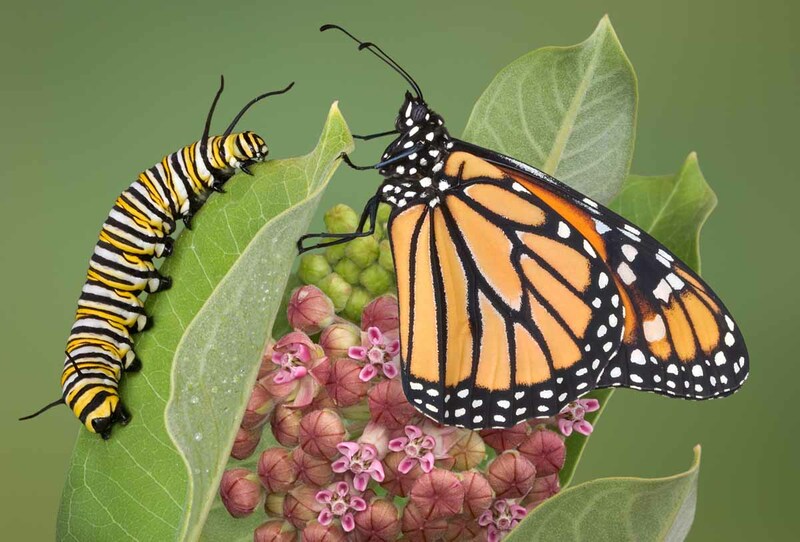 Though adult monarchs sip nectar from a variety of flowers, their caterpillars are specialist herbivores, which means they depend on a single type of plant for food. In the monarch’s case, these plants all belong to the milkweed family. Milkweeds have evolved elaborate defenses to prevent themselves from being eaten, including uncomfortably hairy leaves, sticky white latex that bleeds from injured tissues, and toxins called cardenolides. 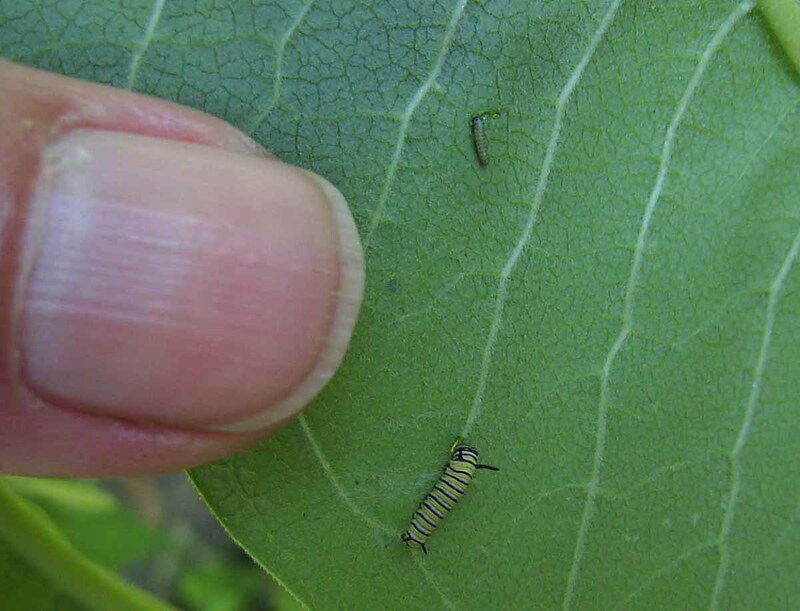 Because of the cardenolides, most insects, as well as vertebrates, avoid eating milkweed, but the monarch has evolved to not only tolerate the toxins, it also uses those very poisons to its own advantage by storing them in its own body, which makes even an adult butterfly just as toxic as the plant. The first time a bird, such as a blue jay, eats a monarch, it will vomit a short time later. Though this is of no benefit to the monarch that was eaten, the bird will remember its bad experience and will avoid eating black-and-orange butterflies from then on. Meanwhile, milkweed plants are continuing to evolve in response to being eaten by caterpillars. 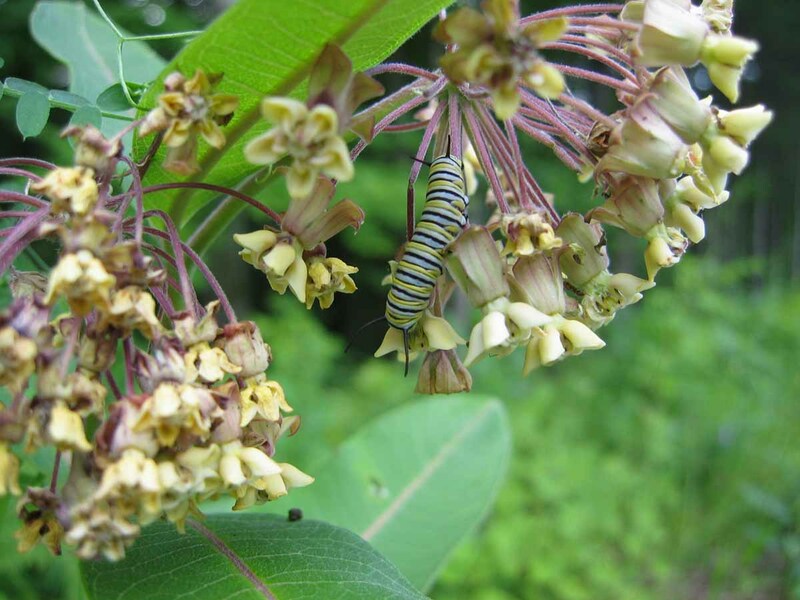 Recent genetic research is showing that there is an evolutionary trend in milkweeds towards healing themselves faster than they can be eaten, instead of producing more toxins that might eventually deter caterpillars. Though milkweeds can get along perfectly well without monarchs, monarchs cannot survive without milkweeds. Unfortunately, milkweeds of all varieties are disappearing. Their grassland habitats have been steadily eroding for more than a century due to human development, and recent severe droughts in Texas and the American Southwest have also taken their toll. But another much greater threat has arrived: farmers across North America are now growing corn and soybeans that are genetically engineered to be herbicide resistant. When these “Roundup Ready” crops, developed by a company called Monsanto, are sprayed with glyphosate-based herbicide, almost any plant—other than the corn and soybeans—is killed. The plants that once grew alongside these crops include milkweed, which, until now, had always been plentiful, as well as a multitude of wildflowers that provide nectar for adult butterflies while they’re migrating. One study has shown that between 1999 and 2009 there has been a 90% loss of common milkweeds in the fields treated with these herbicides. * Soon there may be no milkweed in these croplands at all. And no monarchs. Lobby your political representatives to have products made with genetically modified (GM) crops labeled.